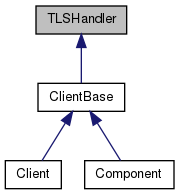 An interface that allows for interacting with TLS implementations derived from TLSBase. Definition at line 32 of file tlshandler.h. Definition at line 38 of file tlshandler.h.